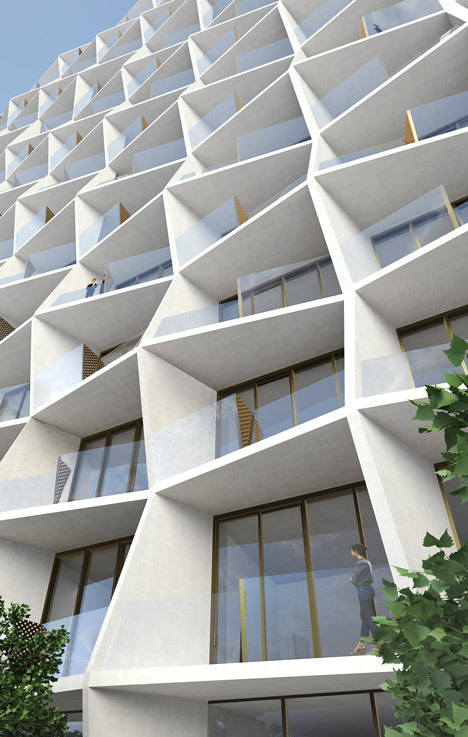 News: Chicago-based Studio Gang is following in the footsteps of OMA, Herzog & de Meuron and Zaha Hadid by becoming the latest architect to design a residential building for Miami . 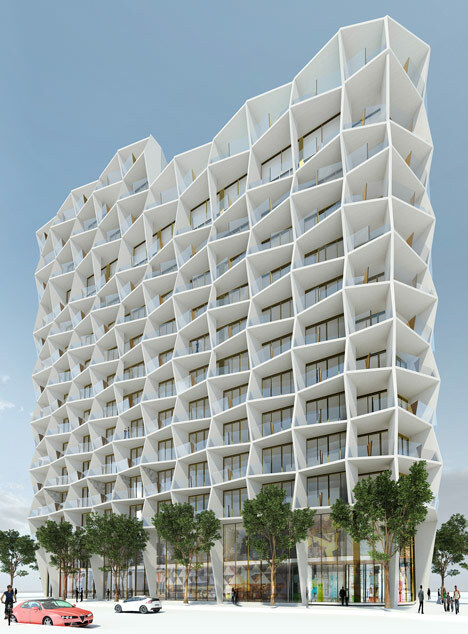 Studio Gang, the firm led by architect Jeanne Gang, has unveiled plans for a 14-storey apartment block in Miami’s design district, with a sculptural facade that will frame sea-facing balconies. Forming part of the Buena Vista neighbourhood, the 15,000-square-metre building will accommodate 76 residences – each boasting panoramic views of Biscayne Bay and an open-air living space known as a “Florida room”. “The architecture of the facade demonstrates Studio Gang’s principle of exo-spatial high-rise design in which the inside extends to the outside in a dynamic spatial arrangement,” said a statement from Studio Gang, who this year completed a boathouse on the Chicago River. 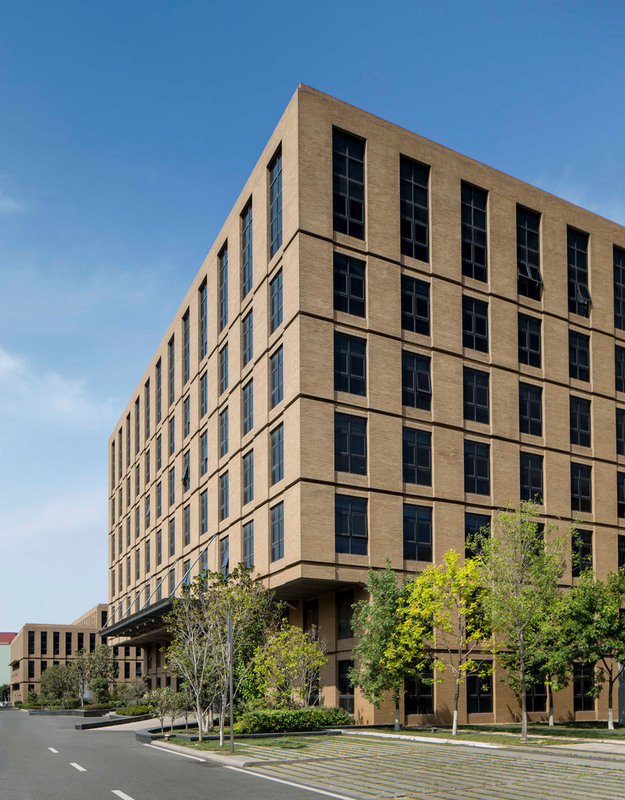 The building is slated for completion in 2016, and will also feature 1,800 square metres of retail at ground level and 114 parking spaces. Studio Gang is yet to reveal the project’s title, but it is reported to be named Sweetbird South Residences. 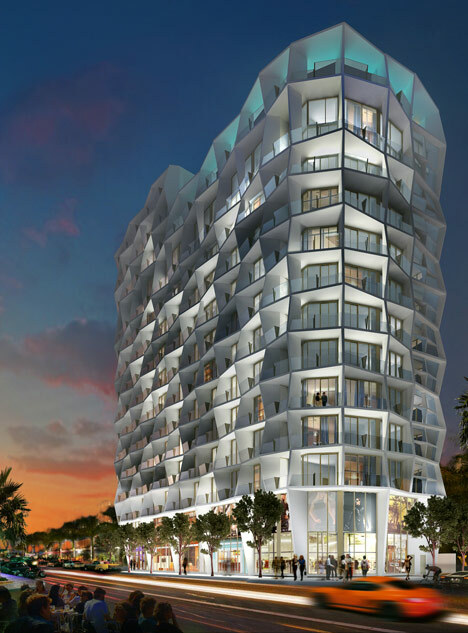 Other architects working on residential developments in Miami include BIG, who has designed two twisted apartment blocks for Coconut Grove, and OMA, who is working on a family of towers. Zaha Hadid was granted planning permission for a 215-metre-high skyscraper in the city last year, while Herzog & de Meuron has planned a 198-metre-high tower.